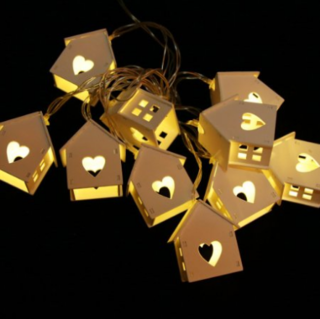 9 Pretty (And Affordable) Lamps To Light Up Your Room! 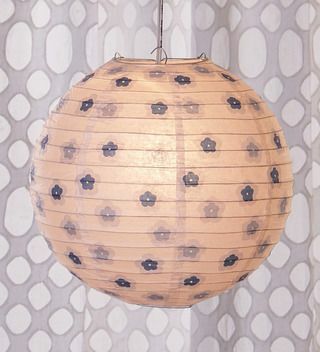 This beautiful paper lantern will add color and warmth to your room. All you need to do is fit a bulb inside this floral ball, and watch it add a cosy glow all around. Price: Rs. 207. Buy it here. 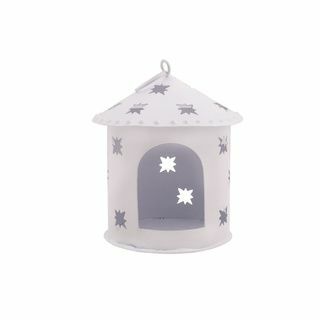 Place a cute candle or oil lamp inside this little house, and let it shed light through its star shaped holes. 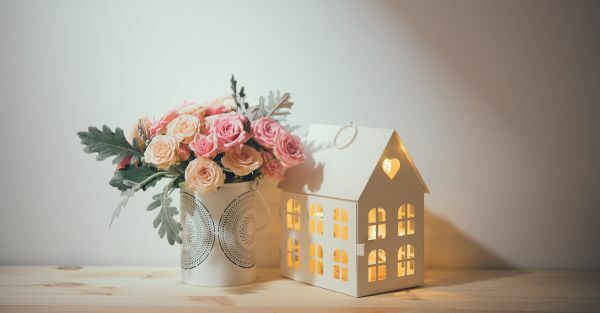 This little accessory will look great in tiny corners and give your room a pretty feel. Price: Rs. 295. Buy it here. This string of little wood houses is just the cutest thing ever. Hang it over your bed, or across your cupboard, and watch as it lights up your room, and your life! Price: Rs. 630. Buy it here. 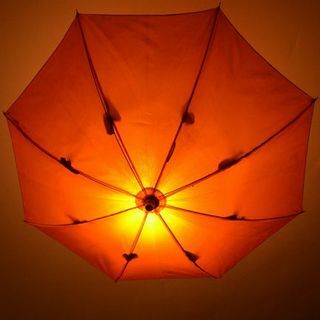 All your friends would want to steal your umbrella lamp, it’s just SO hip. You can hang it right over your study desk, or your bed and we’re sure it will manage to get all eyes on it. Price: Rs. 799. Buy it here. 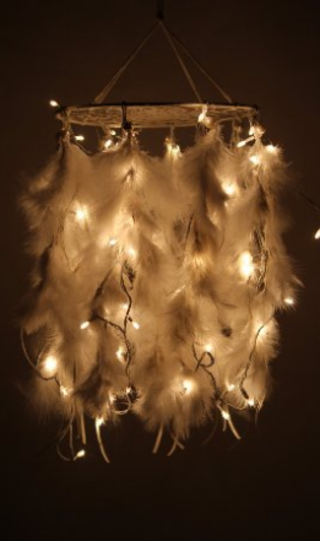 This little chandelier looks so vintage, we’re totally falling in love with it. 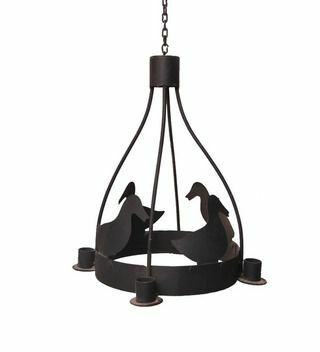 You can place it in your room, or hang it in your garden and watch it give its surroundings an antique, royal look. Price: Rs. 927. Buy it here. This silver string of hearts is totally stealing away our hearts. 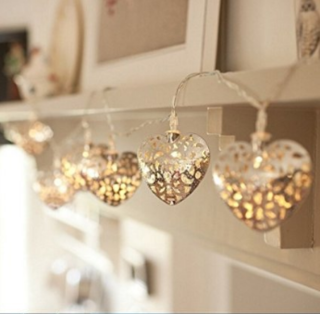 You can place it across your mirrors, door frames, mantelpieces and watch the whole space come alive and glow. 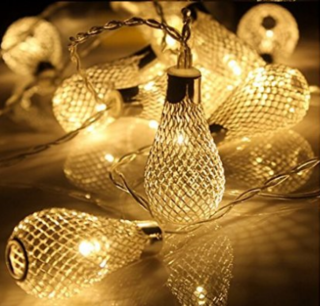 Whoever thought the boring old bulbs could look so...handsome? 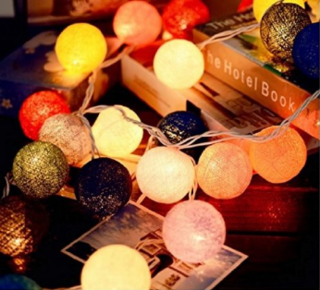 This string of bulbs is definitely the most fashionable set that we’ve seen, and we can’t wait to get our hands on it. Price: Rs. 1,199. Buy it here.